Book Thailand ferry tickets quickly and easily online. Below is a complete list of all the ferry routes for which you can buy ferry tickets. Follow the links for ferry timetables, details and to buy your tickets. 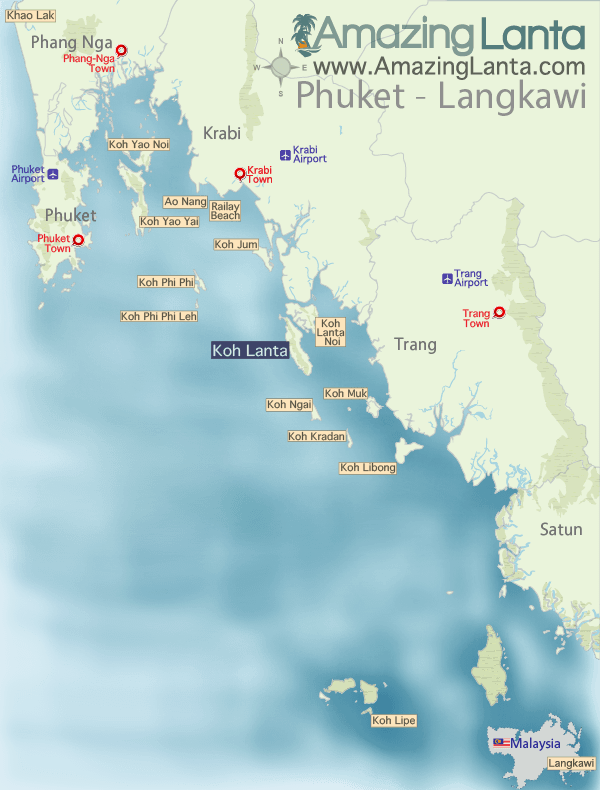 View our Phuket to Langkawi Ferry map to see where each of the different islands are located in relation to one another.